As part of our goal to provide our patients with clear, comfortable, and healthy vision, we provide comprehensive contact lens services. For all contact lens wearers, it is important that you have your eyes evaluated at least every year or more frequently, if needed. Whether you are a current contact lens wearer, or simply interested in finding out if you are a candidate for contact lenses, our doctors will be able to evaluate your eyes and make appropriate recommendations about the healthiest contact lens options available to you. 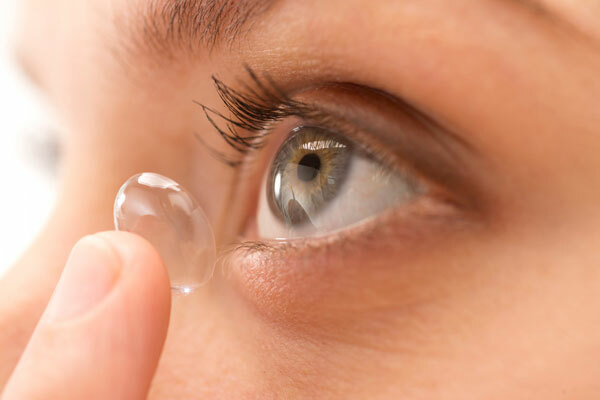 The ultimate goal for all contact lens wearers is to see well, be comfortable, and not harm his or her eyes by wearing the lenses. Our doctors are committed to helping you achieve this goal! This is for current contact lens patients at the time of the comprehensive eye exam. This service includes verification of current contact lens prescription to determine if any power updates are necessary, evaluation of the appropriateness of the current contact lens fit for your visual needs, a review of contact lens solutions and hygiene and recommendations for contact lens wearing schedule, and evaluates the health of your eye in relation to your contact lenses. This service applies to new contact lens patients only. It includes the teaching of contact lens insertion and removal, contact lens hygiene and proper use of contact lens cleaning solutions. One affordable fee (varies by category) covers the fitting and the contact lens office visits for a set global period until our goal of clear, comfortable, and healthy vision is met.